Dr.Beijeng Liu graduated from Beijing Medical University in 1982 with a Bachlors degree in Medicine. She stayed in Beijing Medical University, which is now Beijing University. She was teaching whilst working as a doctor, and at the same time doing research. Her papers were published in the national medical magazines. 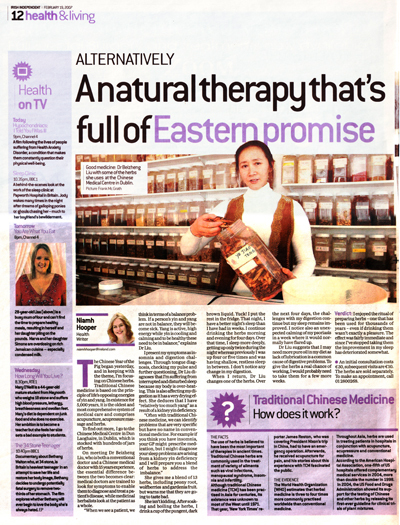 Dr.Beizheng came to Dublin in February 1998. She built up two Chinese Medicine Clinics, and treated more than 6000 patients. 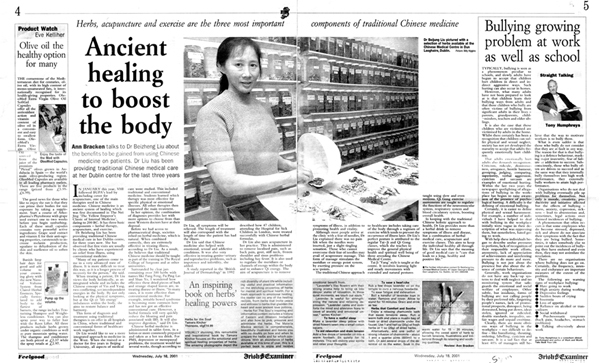 Through 27 years practice Dr. Beizheng has her own view of every ailment between conventional medicine and the Traditional Chinese Medicine. The huge amount of experience she has, enables her to give treatment to her patients with a broad range of conditions. 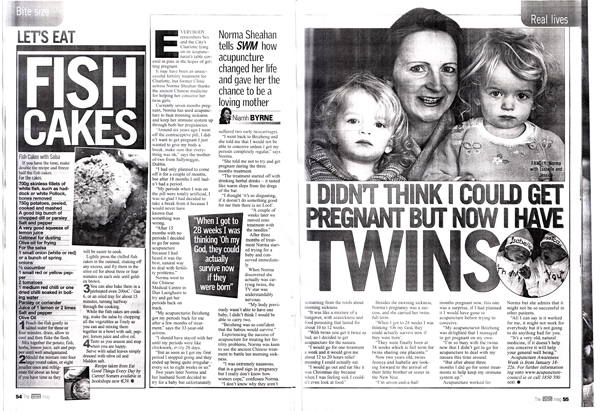 She has been working for Irish and multi-nation patients, and treating a broad range of illness.Through working with the brain she has cured many difficult sicknesses. Through working with the heart, she has built up a strong relationship with patients. Patients come to her first to get advice. 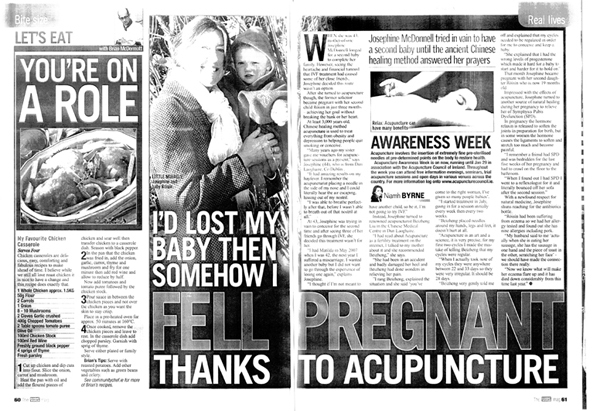 Many people try to avoid going to the GP or hospital. Dr.Beizheng Liu is good at treating some complicated sicknesses, such as infertility, fatigue, pain ‘without’ a reason; skin condition, and other conditions. 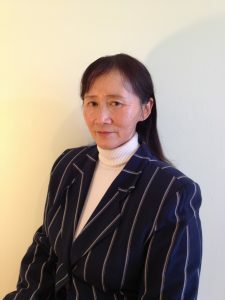 Dr.Beizheng has worked in the Acupuncture Council of Ireland. As a board member, she was done a lot of work communicating with acupuncturists. She holds further education courses every year for all practitioners. Since 1998, a few hundred people have got training in Beizheng Taichi school. Through many years hard work, they have improved significantly, raising the standard of the school. 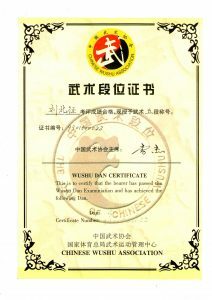 In 2004, five of the students got second Duan in Belfast grading – which was the first time ever the Chinese Wushu Association held grading workshop outside China. In 2010, five of the students got third and second Duan in Dublin. The Taichi exercise is becoming more and more popular and the Dr. Beijung Taichi School has extended its boundaries outside of Dublin. Some students of Master Beizheng Liu have started to teach. They have been practising Taichi a few years and all of them have got second or third Duan.